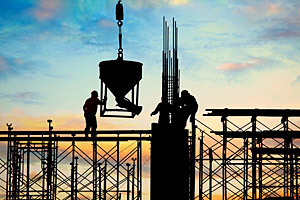 The construction committee of the SCDTAA is made up of attorneys committed to serving a wide range of construction industry individuals and businesses. The committee provides a forum for members to share important information that is vital to the construction industry. Construction committee members frequently litigate actions involving contract claims, defect claims, insurance coverage, liens, and bonds. The committee regularly presents seminars at the organization's meetings, presents a CLE on construction law issues, and the members are contributing authors of The DefenseLine. The South Carolina Defense Trial Attorneys’ Association was formally organized on November 14, 1968. Six attorneys attended the initial meeting and by December 8, 1968, the organization had grown to 75 members. Since that time, the SCDTAA has grown to 750 members who practice in multiple areas of Civil Defense Litigation.